Last weekend saw Superbowl XLII (2008). In line with tradition TV ads were extremely expensive and over the top ad productions included Justin Timberlake, giant carrier pigeons, talking babies, dancing lizards and Republican / Democrat politicians being nice to each other. I was also particularly pleased to see Diet Pepsi Max use Haddaway 'What Is Love' as their soundtrack! Not only have these sites extended TV ad reach, but they also provide insight into how appreciated the ads were. GoDaddy CEO Bob Parsons has written up the results on his blog (http://www.bobparsons.com/SB08FirstResults.html). GoDaddy.com received 1.5 million visits before the game was over and 2 million total visits for the day - this compared to 500,000 visits last year! 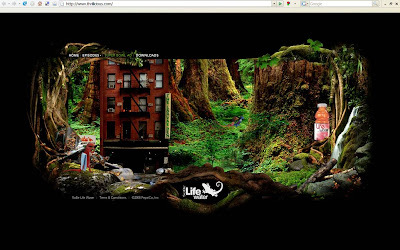 My personal favourite from the 2008 Superbowl ads was an ad for Sobe Life water that featured Naomi Campbell and dancing lizards. With significantly more YouTube activity than any other ad I could find (965,107 plays, 2488 ratings and 5,350 users favoriting), it would appear that other people like it too! The site has slick production values and also has some entertaining video footage (below) to supplement the TV ad - a great example of using online to bring a TV ad to life / build greater engagement with the consumer. 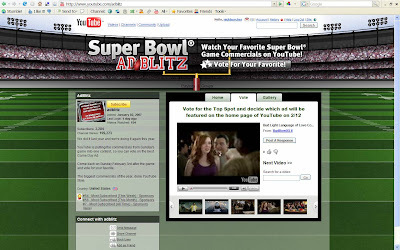 This was the first year that I have been able to watch the ads from the Superbowl. The game is transmitted in the UK, but we do not see the associated advertising and marketing around it. The fact that I have been able to watch the ads, that the MySpace profile has 113,821 friends and the YouTube channel has 200,260 channel views, clearly demonstrates that advertisers have an huge opportunity to extend TV ads online. I was surprised how few Superbowl ads carried web addresses and think that there a number of brands missed an opportunity this year. At an alleged $2.7million for a 30 second Superbowl TV spot, then it wouldn't take much for people to follow the example of Thrillicious and I think 2009 will see more advertisers integrating their Superbowl TV ads with web properties.